New installation of electrical powerpoint can be always a big problem for many people. This could be one of the toughest tasks for many people unless they know exactly what they need to do and how they need to do this work. Some of you may have the complete idea about things that you should do for new installation of the electrical point in your home, but many of you may have no idea about these things. So, here I am sharing 7 things to take now when installing New electrical powerpoint in your home. Do the evaluation: In order to do the new installation of electrical powerpoint in your home, you must do some basic evaluations to get the best result and to stay away from the problem. 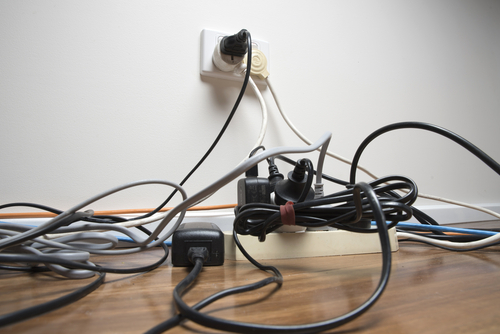 In this evaluation or research, you should know the amount of wire that you would need, how many switches and socket you may need to for electrical powerpoint, and what kind of plug you would connect with it. These are some of the most basic yet very important things and if you would not make the right kind of planning at this stage, then you might get really bad or annoying result with it. That is why, I strongly recommend you do the evaluation in a proper manner. Get right tools: You can’t do any kind of electrical work unless you have right tools and same is the case for new installation of electrical powerpoint as well. In order to finish the electrical powerpoint installation, you may need to use wire strippers, wall knife, drill and drill bits, screwdrivers, and voltage tester. In some other cases, you may need to use other kinds of tools as well for same. So, it is strongly recommended that you use right kind of tools to do the new installation of these points in your home. In some cases, you may need to use extra tools as well and you should get those tools also to avoid any trouble or complication in the middle of work. Get the essential supplies: For the new installation of electrical powerpoint, you would need to use some other material as well that include the switch, socket, screws, board, and wires. If you don’t have these things in your hand, then you might never get a good result in the installation part. In case, you start the work without having the right amount of tools and supplies with you, then you might need to run to the market for buying those materials. So, it is essential that you get all the supplies before starting the work. This availability of supplies will help you do the work in a smart manner in less time and you would get a good result as well. Identify the best location: There are not certain rules for the location of electrical powerpoint as it may vary depending on person and requirement. 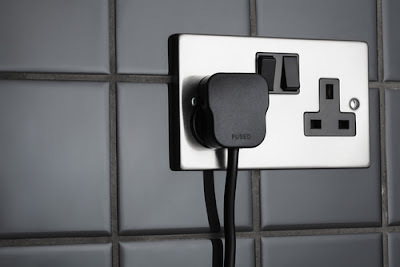 for example, if you want to make an extra socket for your phone charging in your room, then you would prefer to have that next to your bed so you can connect or disconnect the phone as per your choice. Locations of electrical powerpoint may vary depending on your choice. So, when you try to get the best location for same, then make sure you identify the best location and you do the installation at that place only. Do the fittings on a table: In your new installation of electrical powerpoint, it is advised that you do most of the work on your table instead of doing it on the wall. On your table, you can do the fitting of all modular switches and sockets in your modular plate, you can do the electrical connection on the table and then you can try to connect it on your wall. When you follow this method, then you may get a good result with ease and you may get the better result with ease. Also, it will keep you away from other complications as well that you may notice while working by standing or sitting next to the wall. Also, when you work in a less stressed situation, then you will make fewer mistakes as well in the new installation of connection work. 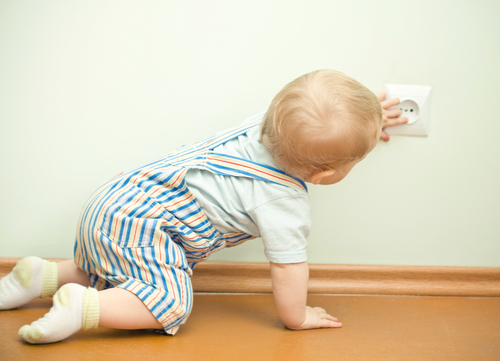 Turn off the main switch: Turning of your main switch is the most important thing that you have to do while doing the installation of the electrical socket in your home. In fact, you should follow this tip while doing any kind of electrical work regardless of how safe that work is. Playing with electricity is not a wise thing to do and I would never recommend you to toy with it even if you are an expert in this field. You should turn of all the main switches before even starting the work and you should turn it on only when your work is completed. This will help you get good result with ease and you would have few complications for sure. Test it before finishing the work: Once you do the installation work, then it is highly important that you do the testing before finalizing work. In order to test it in a safe way, you need to turn off all the other MCB, you should unplug other electrical appliances and you should test the new electrical powerpoint with some small and non-costly object. For example, you can use a low-cost mobile charger or mosquito repellant machine for checking it. If things are not good and if you lose the material, then you would not have to worry about it. And if things are right, then you should move ahead and you can use it easily. In addition to this, it is also advised that you use proper security gears while connecting the cables with main supply. And if you think you can’t follow the tips that I shared above with you, then instead of trying to do the installation of an electrical point in your home or office, you should hire some expert that can do the work for you in a safe way.